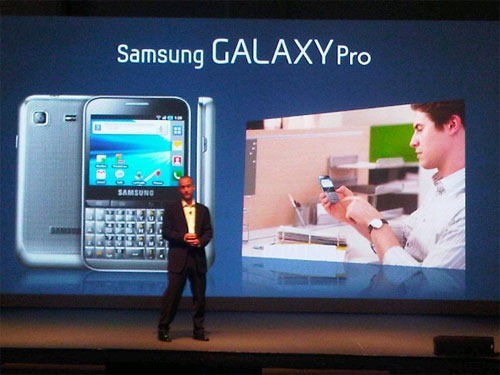 Today at the SEA Forum in Singapore, Samsung launched the Galaxy Pro Android 2.2 smartphone featuring a QWERTY keyboard. Shortly thereafter, UK mobile operator Three confirmed in the video below that the device will be carried by their network. The video also revealed that the phone will have a modest 800 MHz processor, a 2.8-inch capacitive touchscreen display, a 3MP rear camera, and Wi-Fi. 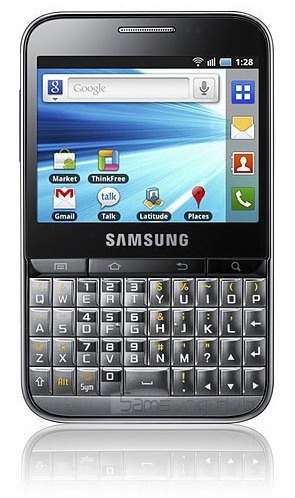 The phone will also come with Samsung's proprietary Social Hub software, allowing you to connect to your email, IM, and social networks through one interface.